The Polk County Sheriff’s Office in Florida reported Deputy Mike Walsh was attacked Sunday morning by a man he was trying to pull over for running a stop sign and nearly hitting the deputy who was patrolling on a motorcycle. Polk County Sheriff’s Deputy Mike Walsh, image via PCSO, Facebook. PCSO reported Corey Johnson was arrested for the attack, image PCSO via WTVT-TV. Johnson has an arrest record in Polk County. He faces numerous charges in Sunday’s attack: Aggravated Battery on a Law Enforcement Officer; Resisting an Officer with Violence; Resisting an Officer without Violence; Depriving an Officer of Means of Communication; Felony Criminal Mischief; Fleeing or Attempting to Elude a Law Enforcement Officer; and Driving While License Suspended or Revoked. Local media has interviewed the three Good Samaritans, all men, who aided the officer and helped subdue his attacker. 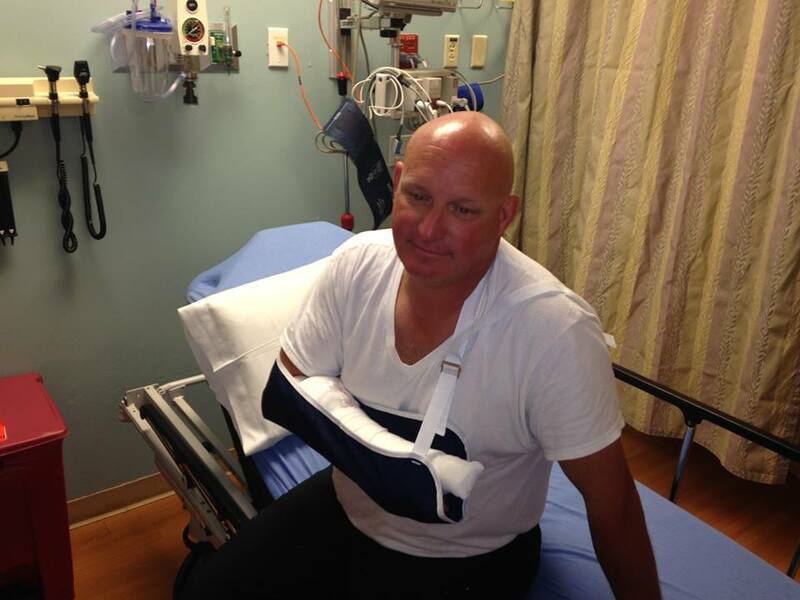 PCSO stated Deputy Walsh was treated for a broken thumb as well as bruises and abrasions. His helmet helped protect his head during the attack. The Good Samaritans are Black, Latino and white. Video of an interview with one of the men from WFTV-TV. PCSO posted a statement to Facebook on Monday about the attack. “The incident began around 9:00 a.m. when Deputy Walsh, who is assigned to the Traffic Unit and was patrolling the Winter Lake Road of Winter Haven area on his motorcycle, saw the suspect fail to stop at the stop sign on King Road. Walsh had to brake his motorcycle to avoid being struck by the car. Walsh ran his lights and sirens in an attempt to pull the car over. The driver of the car (Johnson) ignored Walsh but eventually pulled over at Winter Lake Rd at Camellia Rd. “The driver (Johnson) ignored Walsh’s directions to remain in the car and hand over his driver’s license. Johnson then came out of his car and began punching Walsh about the head and face, dislodging his agency-issued radio headset and knocking the deputy to the ground. Johnson then straddled Walsh across his chest and continued to punch him and attempting to remove his gear from his duty belt. Walsh kept one hand firmly on his firearm so that the suspect could not remove it, and was able to flip the suspect off of him, at which time the suspect fled on foot. “Several passing motorists witnessed the incident and stopped to assist. George Cooper rushed to assist Walsh, who was laying on the road, and then ran after Johnson. Antonio Velazquez stopped his car and attempted to tackle Johnson as he fled. By that time, Walsh got up and also assisted in detaining the suspect, who was still fighting. Christopher Carver saw the struggle and also stopped to help. Johnson continued to actively resist all four men’s efforts to subdue him. Walsh’s Taser and radio microphone headset were broken during the fight. Through the efforts of the three Good Samaritans, Deputy Walsh was able to take the suspect into custody and call for back-up. “Deputy Walsh suffered numerous bruises and abrasions – luckily his motorcycle helmet deflected some of the blows to his head. He also suffered a broken thumb. “32-year-old Corey Johnson has several Polk County active warrants: Failure To Appear – Weekend Work Release for DWLSR; FTA – Weekend Work Release for Resisting an Officer with Violence; FTA – Weekend Work Release for DWLSR 2nd Conviction; Domestic Violence; Grand Theft; Robbery; and a Highlands County warrant for non-payment of child support. 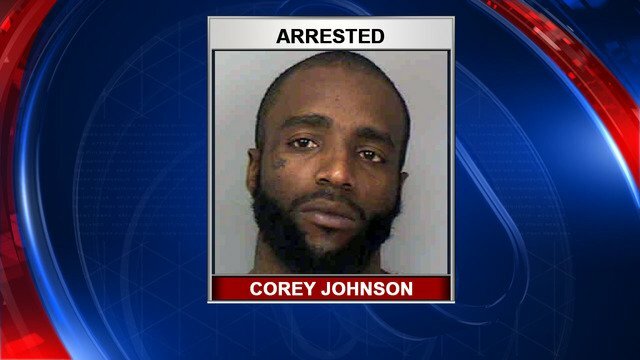 “Johnson has been booked into the Polk County Jail on the following new charges: Aggravated Battery on a Law Enforcement Officer; Resisting an Officer with Violence; Resisting an Officer without Violence; Depriving an Officer of Means of Communication; Felony Criminal Mischief; Fleeing or Attempting to Elude a Law Enforcement Officer; and Driving While License Suspended or Revoked. He has been in the Polk County Jail on 7 prior occasions.